Ideally, you will never have a conflict that you can’t resolve with anything more than a talk over lunch or the backyard fence. However, one of the characteristics of modern society is that financial stakes are higher than ever before in human history. This fact places tremendous pressure on human relationships, whether between neighbors, businesses, or cultural groups. Thankfully, one of the hallmarks of an advanced society is the availability of a system to address and resolve disputes without physical conflict or violence. If you are faced with a situation where you feel your efforts alone will not be enough to fully resolve a conflict, consider the professionals at MacArthur, Heder & Metler for help. Litigation is the process by which your claims are identified and presented to the offending party and then either settled or taken through the civil court process until you ultimately accept a settlement or you have your day in court. At our firm, we focus on representing you, resolving your issues, and finding a solution. It is a personalized approach that includes a commitment to allow you to understand and guide the process and progress of your case. We have litigating attorneys with a broad range of experience and many years of in-court trial experience. We can also help you with alternative dispute resolution by mediating your conflicts. Our offices are routinely used to host mediations. 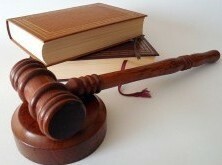 Our attorneys are well-versed in the processes and protocols necessary to reach a non-judicial resolution.